When I decided to go to university I was nervous, I had heard the horror stories of institutions and classes that were too large and where it can be difficult to fit in. Bishop’s quelled all of these fears. The Bishop’s style of learning promotes a strong student-professor relationship inside the classroom, adding to its overall community feeling. One of my earliest memories is sitting down in my professor’s office and being recognized instantly as a writer for the university newspaper. Since deciding to study at Bishop’s I have been a Resident Assistant and member of the Student Safety team, as well as a participant in the National Model UN, a simulation of the UN for a full week in New York City. Perhaps my favorite experience was a one-month study-tour of the European Union in Belgium during the summer of 2013, and the subsequent internship which allowed me to develop my professional skills. By studying Political Studies at Bishop’s I’ve developed an excellent understanding of Canadian and international politics but also the organizational and communication skills that I will need for graduate studies and the work force. Dylan Gagnon is pursuing graduate studies in International Relations at the Norman Patterson School of International Studies at Carleton University. At Bishop’s University, I discovered my passion for International Political Economy. When I started my undergraduate, I had no idea what to do and I owe it all to one of my politics professors who sat down with me in the first semester and told me that I could combine my interests in economics and international politics and development and end up with an Honours degree. The intimate environment and the openness of my professors and the Bishop’s community greatly contributed to my success. In addition to all the academic support, there were many opportunities along the way to further my education. Along with being on the SRC for two consecutive years, I was also privileged to be the 2010 Nicholas Bachand Canadian Civil Society Intern and to go on an international exchange to South Africa in 2011. 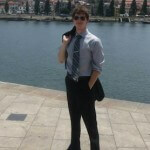 In my final year, I was the STEP intern and participated in the Model UN, proudly representing Australia in ECOSOC. My degree illustrates that a student is provided with the flexibility and guidance to pursue their interests and apply their knowledge in practice. For these reasons, the Politics and International Studies Department at Bishop’s University offers the highest quality in an undergraduate education. Sophia Faria currently works with the Ontario Ministry of Economic Development, Employment and Infrastructure. She previously interned with Marketworx Africa Pty Ltd. in South Africa. It is difficult to emphasize enough the difference that attending an institution the size of Bishop’s can make compared with other, larger, universities. The access to professors, the opportunities to develop close ties both with faculty and with a large proportion of the other students in your program, never having a question go unanswered or a discussion left unfinished: these are just a few of the factors which make Bishop’s an exceptional place to study political science. In my time here I had the opportunity to take classes in a range of topics which interested me, to represent the department at the National Model United Nations in New York, go on a semester abroad to Australia, to foster close working relationships with my professors and advisors, present my own research at an academic conference in Montreal, and participate in a two-month internship in Peru. I don’t believe that any other university could have offered me the range of experience, the intimate quality of education, or the exceptional support which I received at Bishop’s, and which have prepared me so well to continue my studies elsewhere. Following graduation, Will Greaves worked as a researcher and policy analyst, and is currently a PhD candidate in the Department of Political Science and the Munk School of Global Affairs at the University of Toronto. 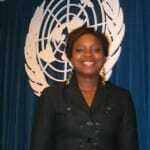 After having completed her undergraduate degree in Political Studies with minors in French and Public Administration, Dorcas completed a Masters Degree in Political Science at the University of Windsor, Ontario. Her final research focused on the role and impact of federalism in ethnic conflict management examining Nigeria’s political structure. In summer of 2006, she got the opportunity to intern at the United Nations Headquarters in New York. She was assigned to the Security Council Practices and Charter Research Branch where she worked on the 15th Supplement of the Repertoire of the Security Council. This involved extensive research on the Council’s proceedings and decisions on various issues from 2004 to 2005. Issues that she focused on included the protection of children in armed conflict, small arms and light weapons, cooperation between the United Nations and regional organizations and the prevention of armed conflict. She also used this opportunity to attend numerous Security Council meetings and a General Assembly meeting where she assisted in drafting a report for senior level officials. She also volunteered as a group leader for the Day of the African Child, a yearly event hosted by the United Nations African Mothers Association to bring attention to the plight of African Children. In addition, she was a member of the Yearbook Committee. My Bishop’s University education helped me develop my research and analytical skills and the wealth of knowledge from the diverse courses and interactions with the professors has been very beneficial. Bishop’s University also helped me discover my passion and through that set goals for my career. My time at Bishop’s has provided me with numerous opportunities and tools that will last a lifetime. 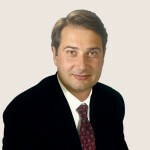 Robert Ghiz ’96 was elected as premier of Prince Edward Island in 2007 and served two terms as leader of the province before leaving left politics in February 2015. Before he served as Premier, Robert was the Leader of the Official Opposition in PEI’s provincial legislature (2003-2007). In 2001, he joined the office of Prime Minister Jean Chretien where he served as Atlantic Canada advisor before running for the leadership of the Liberal Party of Prince Edward Island in 2003. Previously, the Charlottetown native worked as an aide for Deputy Prime Minister Sheila Copps and as a lobbyist for the Bank of Nova Scotia. Rob’s father, Joe Ghiz, was premier of PEI from 1986-1993. He received an Honorary Degree from Bishop’s and graduated with his son, before passing away from cancer in 1996. Robert’s younger sister Joanne also graduated from Bishop’s in 2005.